The original G Finesse Swivel Shot changed the game and professional anglers were eager to play. Some, like Shin Fukae, recognized the G Finesse advantage but didn't want to break from tradition entirely by using the integrated octopus hook. They already had their drop shot rigs dialed to perfection. 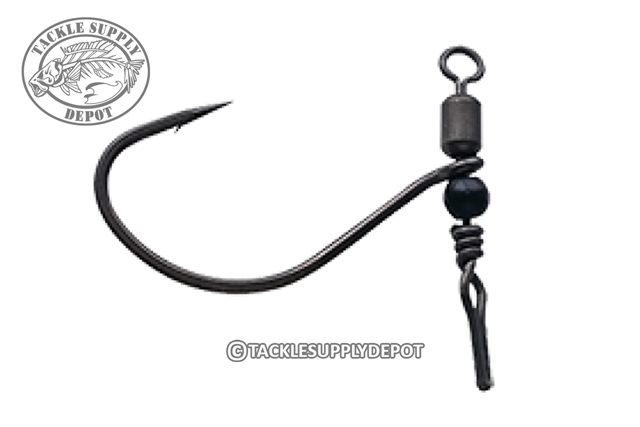 So, Gamakatsu designed the new G Finesse Swivel Shot Drop Shot to accept traditional drop shot hooks with a true swivel connection. No unreliable wire loops like other brands. Additional features include TGW (Tournament Grade Wire,) and both the hook and swivel system boast the benefits of a Nano Smooth Coat finish. Drop the old-school rigs and try the Swivel Shot Drop Shot inspired by Angler of the Year winner, Shin Fukae.